Recently A Side of Sunsets was nominated for a Liebster Award by fellow travel blogger Kate from World’s Not Waiting. We’re so honored! Thanks, Kate! Check out Kate’s website and read her post about the award. Kate’s from Dallas, TX and has been traveling since a young age – making it to 24 different countries so far! She works full-time for the US government now but is considering leaving it all behind for a work holiday in Australia and getting her dive master certification. I think she should go for it! 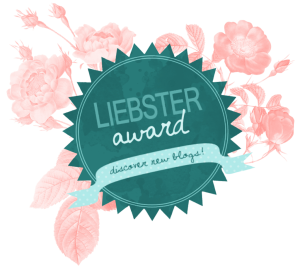 Have you heard of the Liebster Award? Chances are that if you are a travel blogger you will be nominated at some point if you haven’t been already. I had never heard of it before I was nominated. Basically, it is an award given by bloggers to other bloggers. It lets bloggers pay it forward so that newer bloggers can get noticed in the vast blogosphere. There are a lot of us out there and it is hard to get noticed. I will take any help I can get! This award works like a chain mail. Thank the blogger who nominated you for the award and write a little blurb about their journey. Answer a list of questions from the blogger about yourself. Nominate new bloggers for the award and come up with questions for them! The award may sound meaningless to some bloggers because it does not come with a trophy or prize. If you fall under this camp, you can ignore the blogger who nominated you too. Just continue blogging as if you didn’t receive the nomination. But what is the fun in that? It is just a couple questions! But, I won’t disappoint Sonder Out Yonder, who nominated me. I initially met her because she’s in my very first Instagram Pod, and all the members became pretty good digital friends already! What/Who inspires you to travel this world? We love immersing ourselves in new and different cultures – meeting locals, trying all of their delicious foods, and combining seeing more touristy and popular spots with learning more about the country we’re visiting. What is the best memory that you have while traveling? This is a tough one! We have so many great memories from our travels but more recently, seeing Torres del Paine was one of the most wonderful places we have ever visited. What is the scariest thing you have experienced while traveling? We’ve been lucky to never feel very unsafe on any of our travels, so I’d have to go with bungy jumping off Bloukrans Bridge in South Africa! So fun but definitely scary! Name the top 3 most beautiful beaches you have visited: We’re lucky to live in beautiful San Diego, but loved the Gili Islands in Indonesia, Ko Phi Phi in Thailand and Ambergris Caye, Belize. Would you rather explore the deep ocean or outer space? Toby loves to dive, so we’ll go with deep ocean! If you had to pick one country to live in (not your own) for a year, which country would you pick and why? Spain – the food, the lifestyle, and the proximity to so many other countries makes it pretty perfect! What is the luckiest thing to have happened to you while traveling? We booked a walk with lions in South Africa and they unfortunately never got our reservation in their system. Luckily, I had an email with their confirmed response and we ended up getting a private tour! They treat and take care of their animals with great respect and we were so lucky that things worked out how they did! Which travel destination most exceeded your expectations? Chile. It was not high on our bucket list but we couldn’t pass up $200 error fares. Patagonia (Torres del Paine) and the Atacama Desert were absolutely amazing. There are so many other parts of the country I would love to go back and explore. Why did you decide to start a blog? I love trip planning, traveling, and writing. Many people had encouraged me to write a blog and then Toby came along – he loved to travel, loved photography, and has an IT background – making all the nitty-gritty technical things I don’t want to deal with a lot easier! We’ve stepped our travel game up a notch and it just seemed natural to finally document our trips! 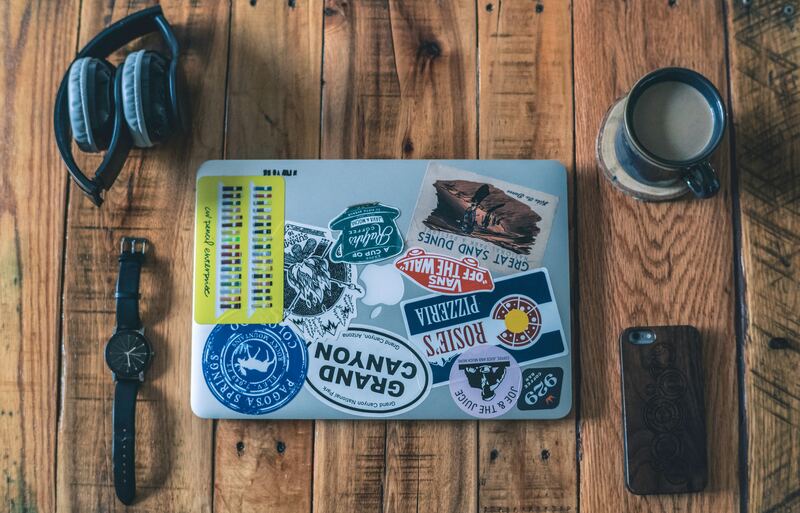 To grow your travel blog, you need to connect and network with other travel bloggers. Do you know more than 5 travel bloggers on a personal level? We don’t…not really. If you are just starting out like us, the answer is most likely a “no” for you too. Well-known travel bloggers like Nomadic Matt started out the same way we all do. Networking with others. Having a strong relationship with other travel bloggers brings about collaboration and cross-promotion opportunities. Surrounding yourself with bloggers who are also growing their blog keeps you motivated too. Being in travel groups, like Girls Love Travel (for example) helps to serve as a motivator and networking tool, too. So try to get involved in some travel groups on Facebook! Participating in Liebster Award is a good starting point for networking. It gives you the opportunity to start conversations with other travel bloggers. When a blogger nominates you, they’ll provide you with 10 questions that you will need to answer about yourself and your travels. The questions you receive and will be asking the other bloggers that you nominate in a Liebster Award blog post help others get to know you and begins the networking process. You can even use them as conversation starters in the future! If you could only go on one more trip, where would you go? What are the Top 3 countries on your bucket list today? Have you ever visited a place just because you saw it in a book or movie? What was that place? What is your absolute favorite blog you have ever posted? Link it too. If you could travel the world for one year with one celebrity, who would it be? If you could speak any other language fluently, what would it be? Whats your favorite thing about blogging? What advice would you give to someone thinking about starting a blog? Where have you traveled that exceeded your expectations? And that’s that! Congrats to our nominees and enjoy our blog!